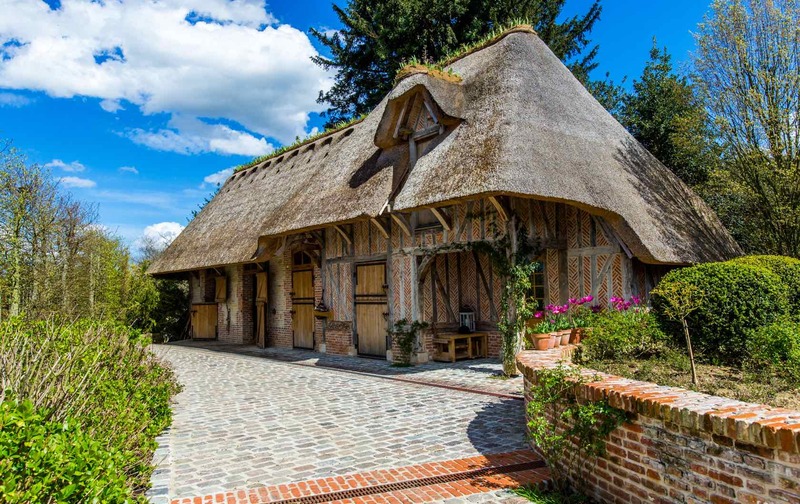 The Camembert suite features a traditional thatch roof. If spring is the season for cleaning, autumn may be the season of acquisition, and that’s just what we’ve done. We’re very excited to announce our newest vacation rentals in Normandy! Cozy up around the fireplace in the Pommeau suite. 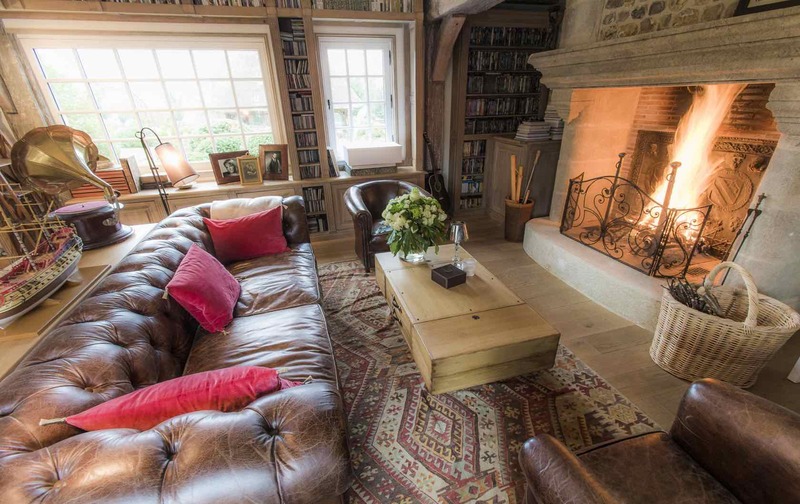 Located in Ablon, just under two and a half hours’ drive from Paris, our cottage and suites are the perfect bases for exploring Normandy, and all are named after delicious Norman treats: Camembert and Livarot, both of which are cheeses, and Pommeau and Cidre, two of the region’s popular apple-based drinks. The suites sleep two people and the Cidre cottage sleeps four. 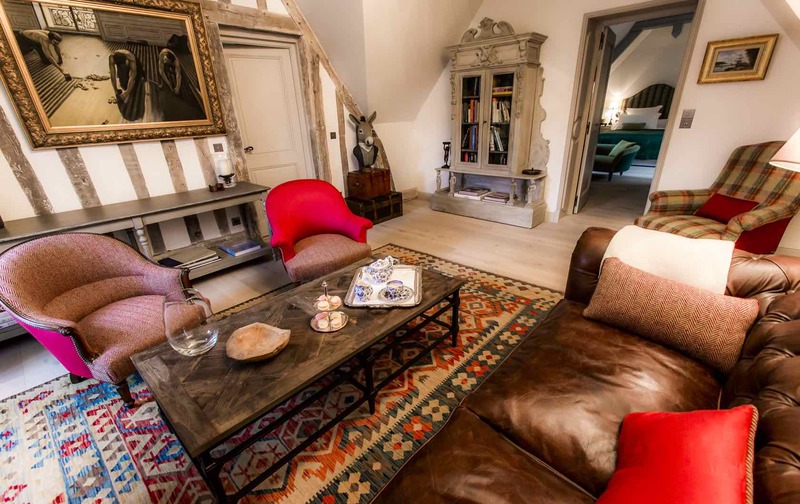 The stunning Cidre cottage sleeps four people. 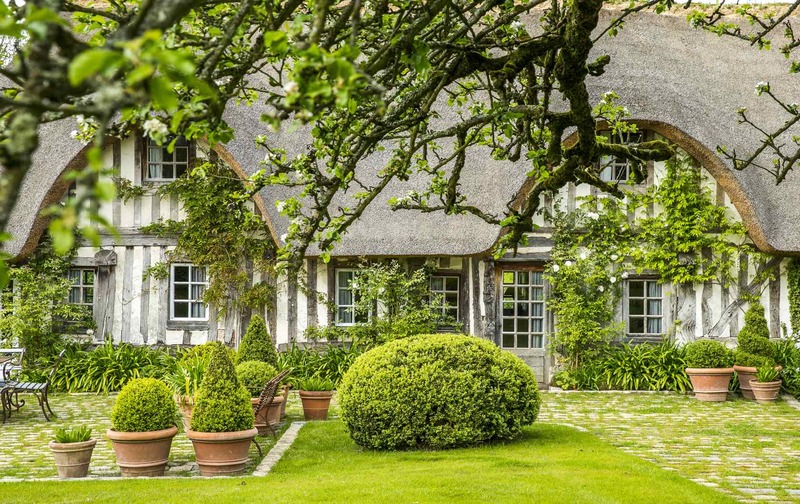 All beautifully decorated by interior designer Laureen de Rouvre, you’ll never want to leave your Normandy abode. All are equipped with every amenity you could want, including private terraces for enjoying the fresh air. Bulgari toiletries, Bose sound systems and high-end furnishings mixed with antiques give our suites and cottage the feel of a luxury hotel, but with the comfort of home. No matter the season, Normandy is a beautiful area of France to explore. After wandering some of the picturesque villages like Cabourg and Honfleur, or visiting the D-Day Beaches or the cliffs at Étretat, settle in to enjoy fresh seafood, a wide variety of ciders and butter-heavy regional desserts. 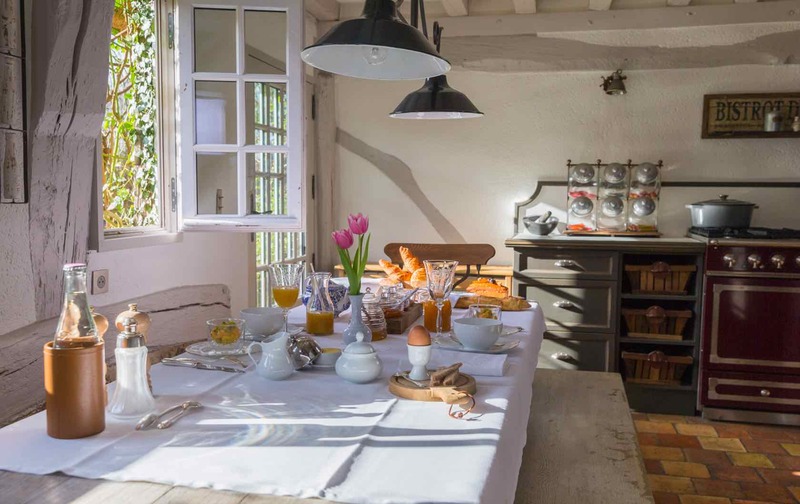 Enjoy meals in your Normandy home in the Cidre cottage. There are a million good reasons to visit Normandy! From the food to the history to the landscape, we think you’ll adore this wonderful French region. 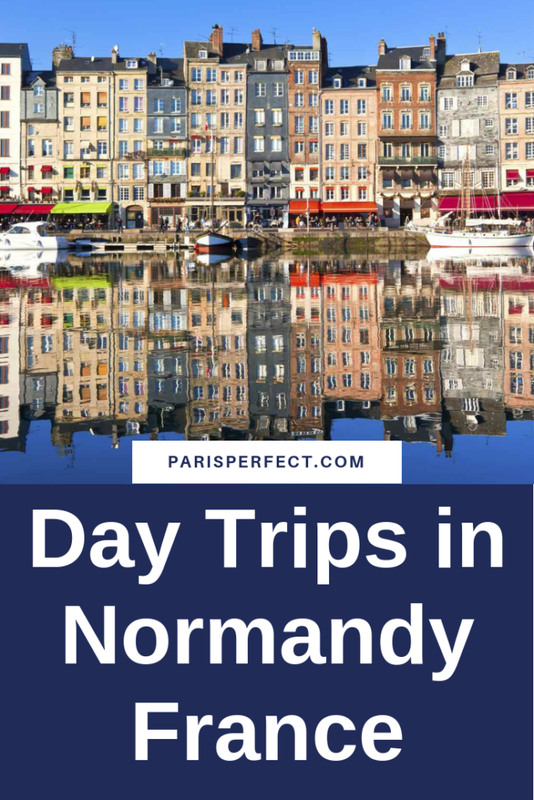 We’ve rounded up some of the best day trips you can take from our vacation rentals in Normandy, including how far they are from Ablon, so you can make the most of your stay! 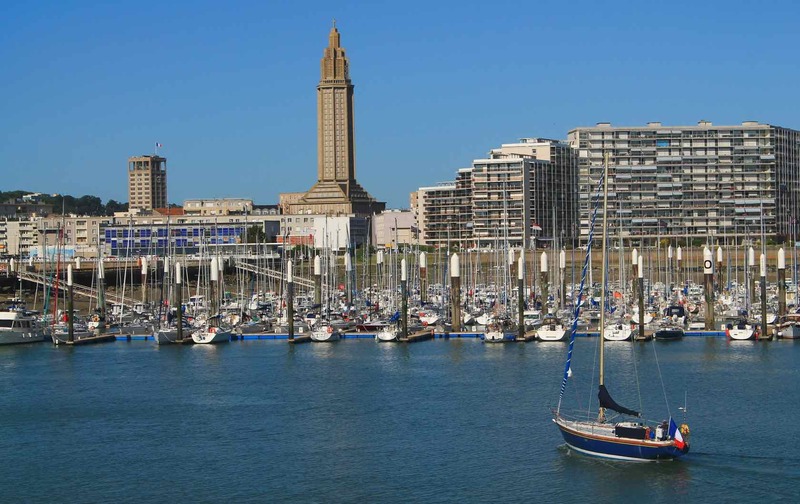 30 minutes’ drive from Ablon: Le Havre is the largest city by population in this region, as well as being an important port. But what might make this an extra-tempting place to visit is that the two-kilometer stretch of beach is both accessible from the city center and fully handicap accessible. Deauville is famous for its American Film Festival and horse culture. 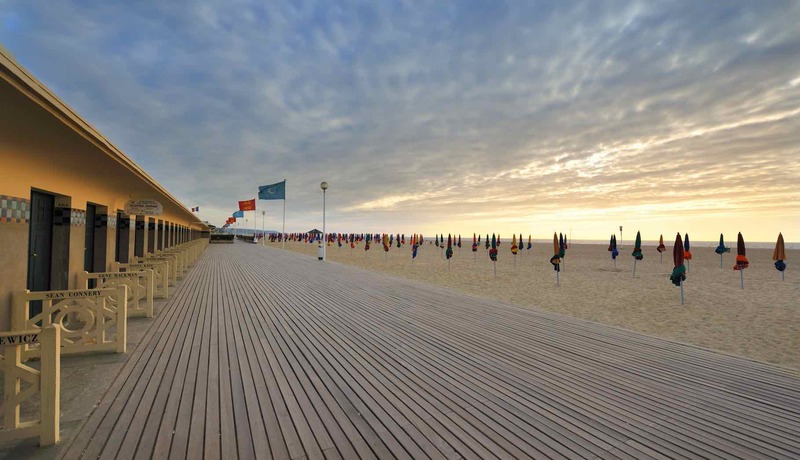 30 minutes’ drive from Ablon: The site of one of the most famous film festivals in France, Deauville is to Parisians what the Hamptons is to New Yorkers. Adorable shops are plentiful in the downtown area, but the huge beach is perfect for taking a dip, playing beach games or posing in front of the dressing rooms labeled with the names of various celebrities. Trouville is just across the bridge from Deauville. 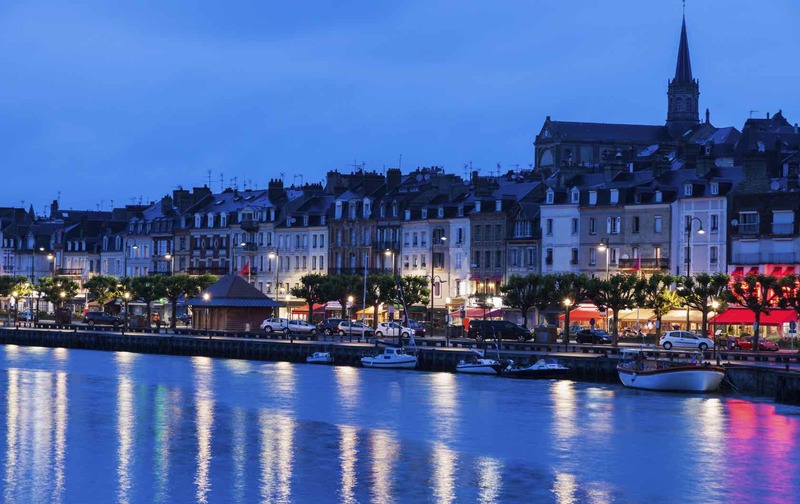 30 minutes’ drive from Ablon: Trouville is Deauville’s sister village, boasting many of the same features that make Deauville such a popular destination, but Trouville was historically a fishing village and has an adorable port. 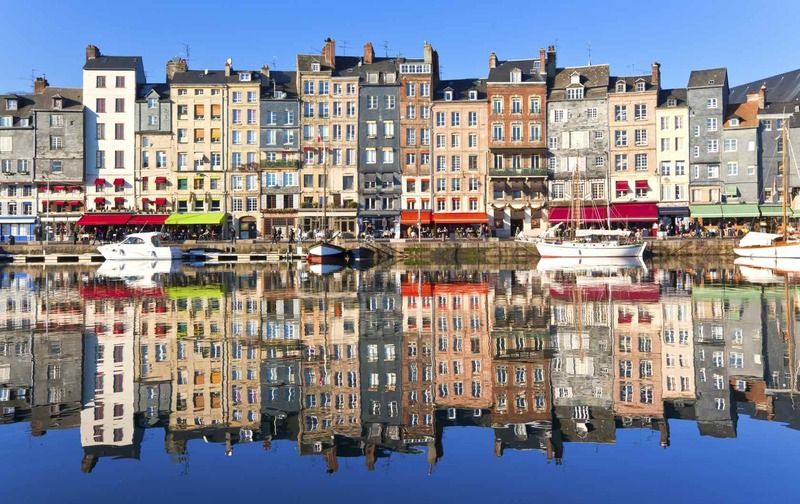 One of the branches of the Seine River ends in Honfleur. 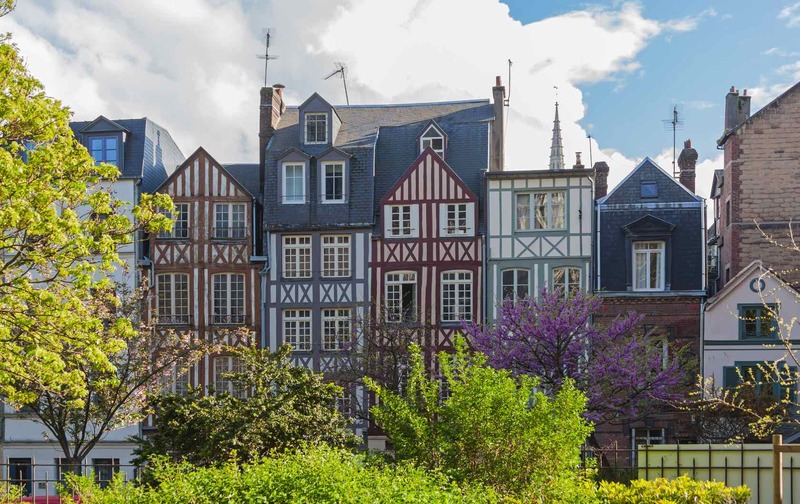 15 minutes’ drive from Ablon: While you may know Honfleur by its colorful, picturesque port, here you can also visit the Sainte-Catherine church, which is the largest wooden church in Europe. Cabourg is as picturesque as it gets with its gorgeous architecture. 45 minutes’ drive from Ablon: This resort town was a favorite of French writer Marcel Proust, who used it as inspiration for a resort in one of his novels, and is twinned with the American beach town of Atlantic City. 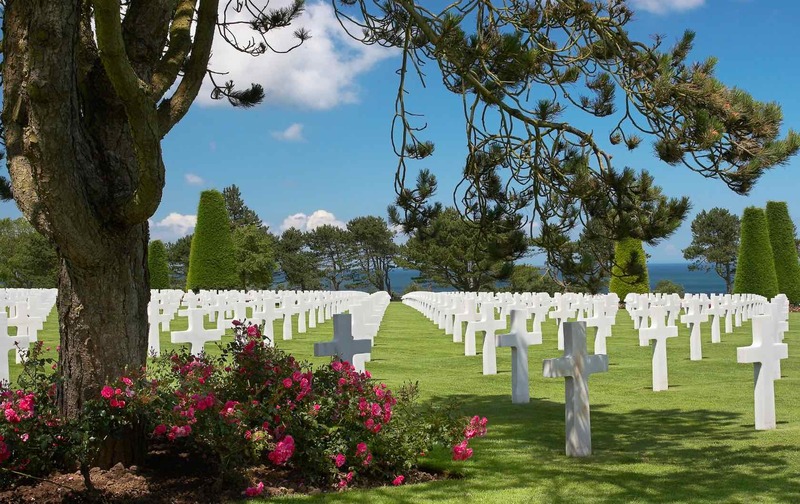 A trip to Normandy is incomplete without visiting some World War II sites. 1h20 drive from Ablon: A visit to the D-Day beaches is one of the most integral parts of any trip to Normandy, especially anyone who might have a connection in some way to the events that transpired there. There are five beaches, but the most-visited one is probably Omaha Beach, as it’s the closest to the American Cemetery and has a monument on the beach itself. The cliffs and arch of Étretat are a sight to see. 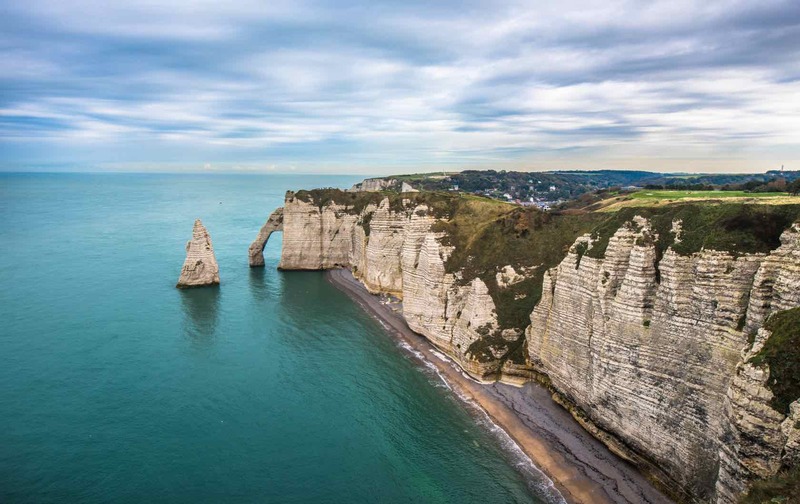 50 minutes’ drive from Ablon: While also being a small village, Étretat is best known for its striking chalk cliffs, which have attracted artists and tourists alike over the years, including Claude Monet. It is also the departure spot for The White Bird, a biplane flown by two WWI pilots who unsuccessfully attempted to make the first transatlantic flight. Caen’s history abounds, from William the Conquer to World War II. 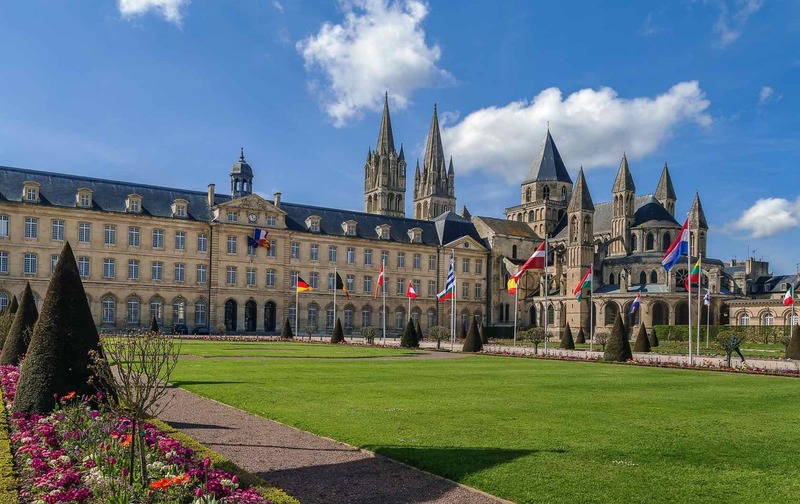 1 hour drive from Ablon: Caen is the third largest city in the region and many of its most prominent tourist attractions come from the reign of William the Conqueror, who was buried there. The Château de Caen is one of the biggest medieval fortresses in western Europe. It is also the seat of the Calvados department, making it the perfect place to try some of the apple or pear-based brandy. Joan of Arc was famously burned in Rouen. 1h5 drive from Ablon: Rouen is the capital of Normandy and is well known for its massive gothic cathedral, as well as the Gros Horloge (Great Clock), a 14th century astronomical clock. Joan of Arc was also held prisoner in one of the now-destroyed towers of the Château de Rouen. All of the properties were beautifully decorated by Laureen de Rouvre. 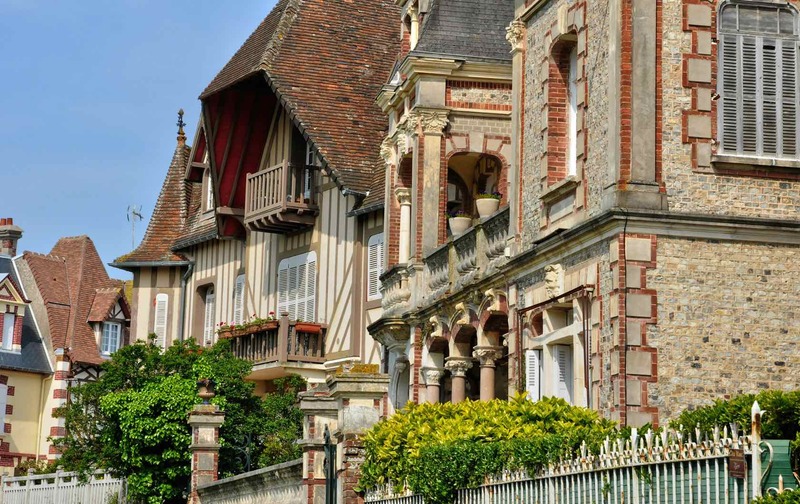 Which one of our vacation rentals in Normandy is your favorite? Once you’re ready to book, our reservations team is on hand to help you choose the perfect home for your stay in Normandy. Posted on Wednesday, September 26th, 2018 at 8:06 am in Apartment Rentals. You can follow any responses to this entry through the RSS 2.0 feed. You can skip to the end and leave a response. Pinging is currently not allowed.